The Institute of Informatics and Automation Problems is organizing a lecture and a scientific seminar within the framework of the visit of Professor Josiane Mothe from Toulouse Institute of Computer Science Research (France, https://www.irit.fr/). On 19 March, at 11:30-12:30 all students are invited to attend the lecture on "Introduction to Information Retrieval". The lecture will provide a detailed overview of Information Retrieval and its basic concepts, as well as its current challenges. The language of the lecture is English. Entrance is free. On 21 March, at 14.00-15.20 the Institute of Informatics and Automation Problems invites all interested people to participate at the scientific workshop on "Lessons Learnt from FabSpace 2.0 Experience". The speaker will introduce FabSpace 2.0 concepts as well as the activities they have carried on. She will also present the lessons learnt during the three years project lasted. FabSpace is an open-innovation network for geodata-based innovation – by leveraging Space data in particular in Universities 2.0. It is a A one-stop shop-access to Space data and a wide range of other data as well as free software and data processing tools to develop new digital applications. Within the framework of the visit of Professor Jean-Marc Pierson from Toulouse Institute of Computer Science Research (France, https://www.irit.fr/) the Institute of Informatics and Automation Problems organized a lecture and a scientific seminar for interested groups. The topic of the lecture was "Security. Basics, Firewalls, VPN, Attacks" and it was open to all the students, which gave an opportunity to participate both the students from the International Scientific and Education Center of the National Academy of Sciences of Armenia as well as the students of the corresponding field from the Armenian National Polytechnic University. Students had the opportunity to listen to Prof. Jean-Marc Pierson's speech, after which he also discussed with them issues of concern to the subject. The lecture was followed by a scientific seminar entitled “DATAZERO: A datacenter powered with only renewable energies, scheduling questions”. At the seminar, Prof. Pierson presented to the IIAP staff and other participants the basics and challenges for a datacenter powered with renewable energy. His presentation was followed by a fruitful discussion between the speaker and IIAP staff. 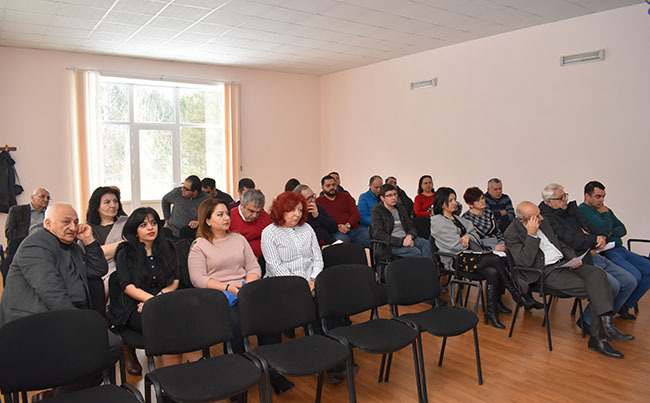 Institute for Informatics and Automation Problems hosts “Digital Libraries and Preservation” training on 19-21, February, 2019 with the aim to introduce digital libraries, basic functions of a digital library and other related topics. The three-day training is organized within the Eastern Partnership Connect (EaPConnect) project; the trainers represent Poznan Supercomputing and Networking Center (PSNC). 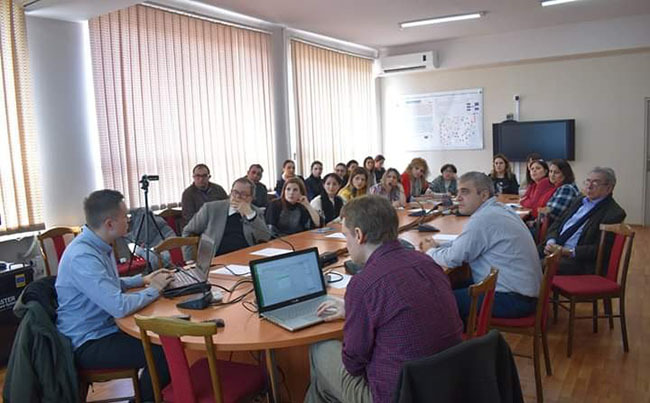 The main target group of the training are participants from Fundamental Scientific Library of the Academy, National Library of Armenia, Repository of Ancient Manuscripts, Armenian Genocide Museum-Institute, Center for Scientific Information Analysis and Monitoring of IIAP. The training is open to participants. First two days of the training will give more insight for editors and administrators of the dLibra system, and the last day will be dedicated to discussions on deployment and adjustments. On January 26 a regular scientific conference was held in the house of Scientific meetings of NAS RA dedicated to the following topic: "Creating a cloud computing environment for solving scientific and applied problems". The main purposes of this project are the problems of natural science and the development of cloud infrastructure (hydro-meteorology, ecology, seismology, biology and ecological monitoring of Lake Sevan) using the capabilities of national research electronic infrastructure. Leading specialists took part in the conference with their speeches from Science Committee of the Ministry of Education and Science of Armenia, The Institute for Informatics and Automation Problems, the Institute of Molecular Biology, the Institute of Geological Sciences, the Institute of Radiophysics and Electronics, the Institute of Geophysics and Engineering Seismology named after A. Nazarov, Service of Hydrometeorology and Active Influence on Atmospheric Phenomena (Ministry of Emergency Situations of RA), Environmental Impact Monitoring Center (Ministry of Nature Protection of RA) and from other organizations. 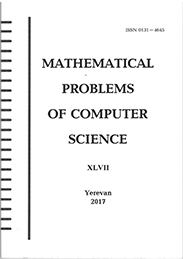 Institute for Informatics and Automation Problems (IIAP) is the leading research and technology development institute of the National Academy of Sciences of the Republic of Armenia (NAS RA) in the sphere of applied mathematics and informatics, as well as application domain of computing technologies in various fields of science and technology.